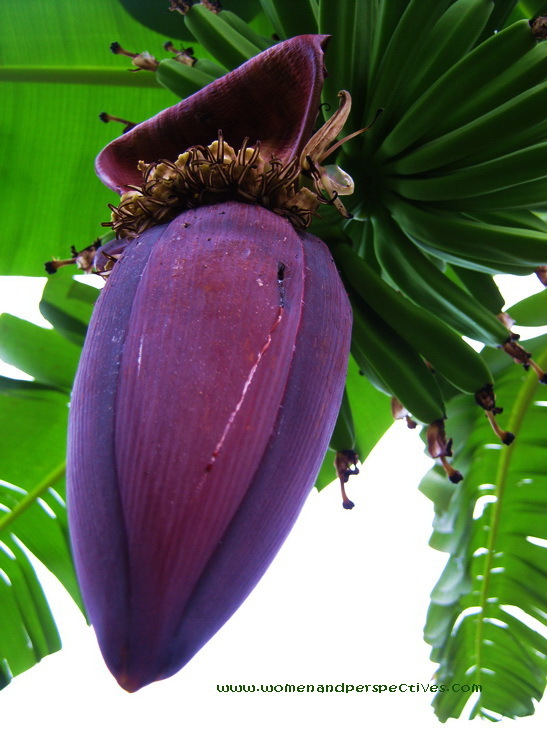 The banana flower is a large, dark purple-red blossom that grows up from the end of a bunch of bananas. Its sizable bracts, or leaves, enclose delicate, sweetly scented male flowers. The female flowers, which do not require fertilization to become fruit, grow farther up the stem from the male flowers. We, Indonesian people, used to call it banana heart. It’s edible; but you must cook it first. Have you ever tried it?